I mentioned recently stopping at Cosmic Bobbins to restock. 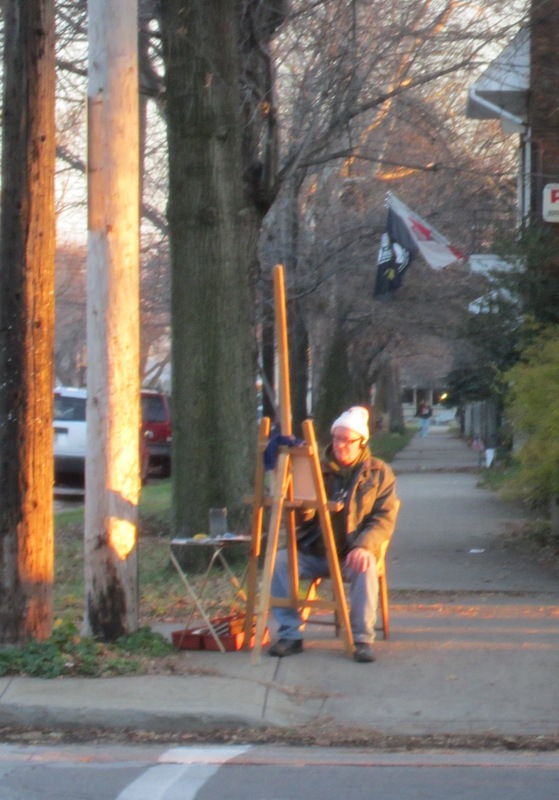 While we were unloading our car i looked down the street to find a man sitting comfortably at an easel painting a scene. 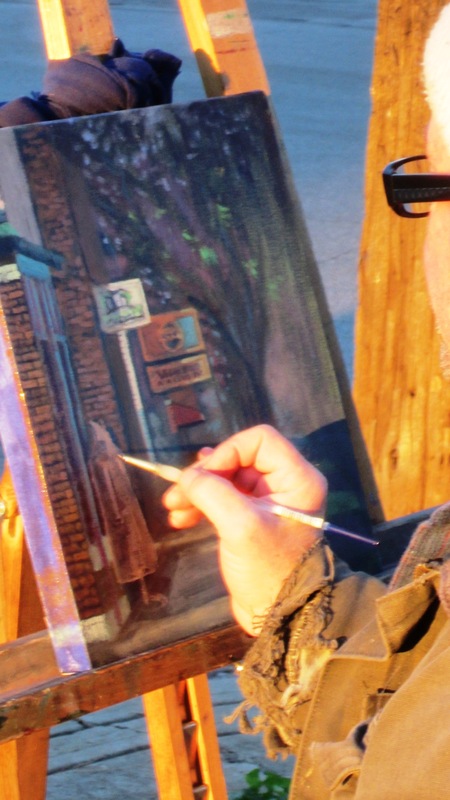 I crossed the street to see what he was painting and was amazed how he was eager to share his work… i think you will enjoy it too.